Non- Hodgkin’s lymphoma, also known as non-Hodgkin lymphoma is cancer that starts in the lymphatic system. This is the network that fights disease throughout the entire body. Non-Hodgkin’s lymphoma form tumors from lymphocytes, which are a type of blood cell. Non-Hodgkin’s lymphoma is a more common type of cancer than lymphoma or Hodgkin Lymphoma. There are several different subtypes of non-Hodgkins’ Lymphoma that exists. The most common non-Hodgkins’ lymphoma subtypes are diffuse large B-cell lymphoma and follicular lymphoma. Painless swollen lymph nodes the neck, armpits or groin. If you have any of these symptoms, you should make an appoint with your doctor. Doctor’s are not sure what causes non-Hodgkin;s lymphoma. Non-Hodgkins’ Lymphoma occurs when the body is producing too many abnormal lymphocytes or white blood cells. Lymphocytes have a normal life cycle; where mature lymphocytes die, and the body creates new lymphocytes to replace them. In non-Hodgkins lymphoma, your lymphocytes do not die but continue to grow and divided into more. The oversupply of lymphocytes crowds into your lymph nodes, causing swelling. B cells, B cells fight infections by producing antibodies that neutralize foreign invaders, Most non-Hodgkin’s lymphoma arise from B cells. Subtypes of non-Hodgkin’s lymphoma with B cells include diffuse Large B -cell lymphoma, follicular lymphoma mantle cell lymphoma and Burkitt lymphoma. T Cells. T-cells are responsible for destroying foreign invaders directly. Non-Hodgkin’s lymphoma does not occur as often in T cells. A subtype of non-Hodgkins lymphoma with T cells includes peripheral T-cell lymphoma and cutaneous T -cell Lymphoma. Depending on whether your non-Hodgkin’s lymphoma arises from B cells or T cells will help doctors determine the right treatment options for you. Where does Non-Hodgkin’s lymphoma Occur? 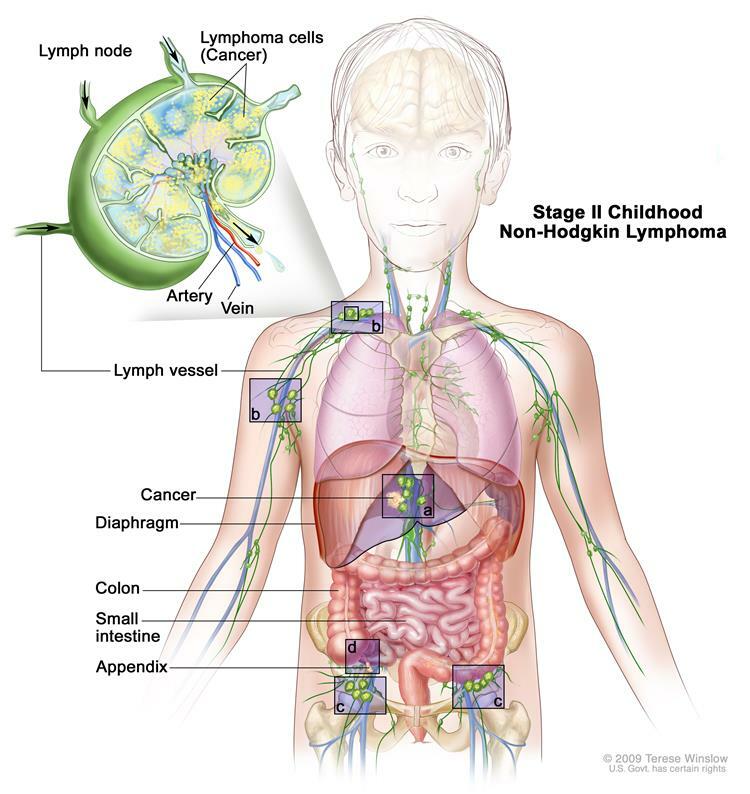 Non-Hodgkin’s lymphoma frequently involves the appearance of cancerous lymphocytes in the lymph nodes, but the disease can spread to the other parts of the lymphatic system. These parts include the tonsil, adenoids, spleen, thymus, bone marrow, and the lymphatic vessels. 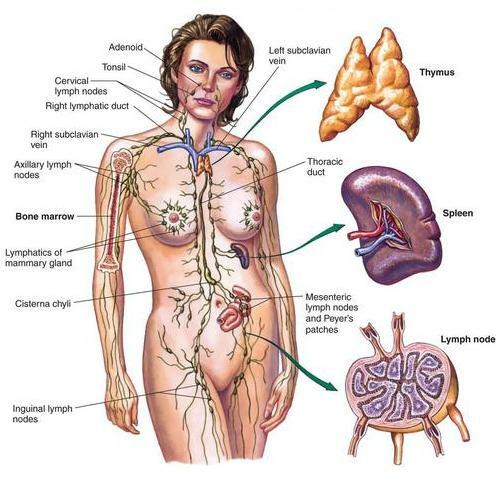 Sometimes, non-Hodgkin is lymphoma and spread to organs outside the lymphatic system. In the majority of cases, individuals diagnosed with non-Hodgkin’s lymphoma do not have any serious risk factors. Many people exposed to risk factors for the disease, yet they never develop it. Some factors may increase the risk of developing non-Hodgkin’s lymphoma. Medication and drugs that help suppress the immune system: If you have ever had an organ transplant, then you could be more susceptible because of immunosuppressive therapy, has reduced your body’s ability to fight off new illnesses. Infections from certain viruses and bacterias. Certain viral and bacterial infections can increase the risk of non-Hodgkin’s lymphoma. Viruses such as Hiv and Epstein -Barr virus, decreases the ability of the immune system to fight illness. Bacterias such as ulcer-causing Helicobacter pylori may increase the risk of non-Hodgkin’s lymphoma. Chemicals exposure Certain chemicals, such as insect and weed repellant, may increase the risk of developing non-Hodgkin’s lymphoma. Although more research is needed to understand possible links between pesticides and the disease. Aging – Non-Hodgkin’s Lymphoma can occur in at any age, but it is most common in people in their 60s or older. Physical examination: The doctor conducts a physical examination to determine the size and condition of your lymph nodes and see if your liver and spleen are enlarged. Imaging Test allows doctors to run X-ray, computerized tomography (CY) scan, magnetic resonance imaging (MRI) or positron emission tomography (PET) to have a look if there are any tumors or abnormal growths in the body. Remove a sample of the lymph node tissue to test. In a biopsy procedure, the doctor takes a sample or remove a lymph node for testing. Analyzing the lymph no tissue in the lab, will help determine if you have non-Hodgkin’s lymphoma and if so which type. Cancer Cells located with The Bone Marrow – Your doctor may request a bone marrow biopsy, in which the doctor inserts a need into your pelvic bone to obtain a sample of the bone marrow. There are different treatment options depending on the type and stage of lymphoma, your age, and overall health. If your lymphoma appears to be slow growing (indolent), the doctor may recommend a wait and see approach. Indolent lymphomas that do not cause signs or symptoms may not require treatment for many years. However delaying treatment does not mean that the doctor will not continually monitor your condition. You doctor will most likely schedule regular checkup every few months to ensure that cancer is not advancing. Treatment for lymphoma that causes symptoms. Chemotherapy. Chemotherapy is a group treatment, that is given orally or by injection, that kills cancerous cells. Chemotherapy drugs can be given alone, or in combination with other medications, or combined with other types of treatment. Radiation Therapy – Radiation therapy uses high-power X -Ray energy beams to kill cancerous cells and shrinks tumors. During radiation therapy, you are placed on a table, and large machine directs radiation at precise points on the body, The radiation treatment can be used by itself or with a combination of other cancer treatments. Stem Cell Transplant: A stem cell transplant procedure involves a very high dose of chemotherapy or radiation with the goal of killing the lymphoma cells that ma not is killed with standard dosage, later, healthy stem cells from your donor is injected into your body, where they can form new healthy blood cells. Medications that enhance the immune systems – These are biological therapy drugs that hep the immune system fight cancer. One biological therapy called rituximab (Rituxan) is a monoclonal antibody that attaches to B cells and make them more available to the immune system, which allow them to attach. Rituximab lowers the number of B cells as well as healthy B cells, but the body will produce new healthy B cells to replaced the destroyed ones. The B cells with cancer are less likely to recur. There are medications to deliver radiation directly to cancer cells. Radioimmunotherapy drugs are made of monoclonal antibodies that carry radioactive isotopes. These allow the body to attack to cancer cells and deliver radiation directly to the cells. 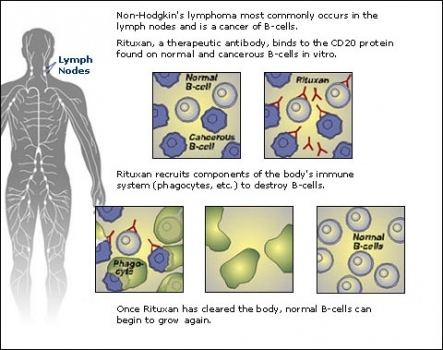 One radioimmunotherapy drug, is ibritumomab tiuxetan (Zevalin) uses to treat lymphoma. ← What is Asperger’s Syndrome?